Brisbane... seriously what's doing gents? 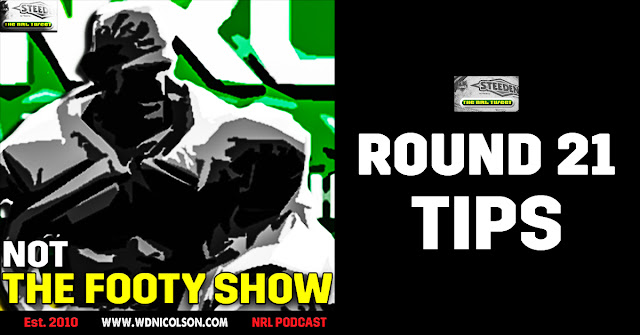 Round 21 Tipping Skinny: Broncos... surely they beat the 15th placed Roosters sans JWH? That said they are skinny up front... Dogs over Dragons, Warriors only because they are at home v Panthers (hate this pick tbh), Tigers over Parra, Storm over Cowboys if JT doesn't play, Raiders over Souths (won't be a cakewalk by any stretch - Souths with no pressure a huge chance), Manly over Knights because they have to keep winning, and Titans to give the Sharks a heck of a shake.